This was like inadvertant, ephemeral installation art. awww that is awesome. nice one, soph! thanks! 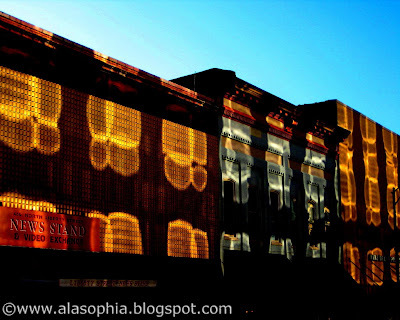 it's sunlight reflected off of a large, windowed building across the street from those smaller buildings. it almost looks like its under water or something. matt -- I thought the same thing!